to add a new word to define the meaning of serenity I might also add magical." Normandie Ridge's benefactors have developed "The Serenity Garden" for the benefit of its residents and their visitors. 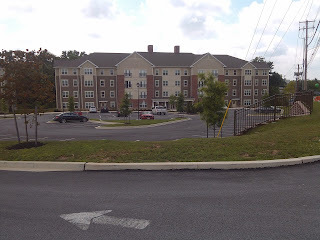 Normandie Ridge held its dedication ceremony on August 6th, 2013 and this writer, along with Kinsley Apprentice Instructor Steve Taylor and Apprentice Associate Director Deb Rohrbaugh, were in attendance. y the Kinsley Education Center to share their dream of developing an area within the Senior Living Community of Normandie Ridge to create "The Serenity Garden." They came prepared to share their drawings and ideas and to ask for the help of Kinsley Construction. In 2012 the new apprentices started their first job, building the dream for the residents of Normandie Ridge. A main concern during the project planning was safety, specifically with respect to the safety of Dementia and Alzheimer's patients. The planning for the flower beds, raised flower beds, pergolas, sidewalk, bench and fountain were designed specifically with patient comfort in mind and with safety as the highest priority. The flower beds contain perennials that will bloom from Spring until late Fall, and the raised beds are filled with annuals planted by residents – with many started from seed and left in the window to begin germination. 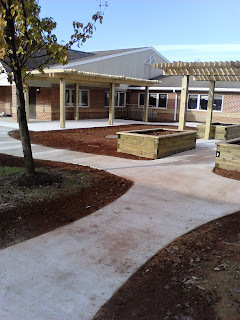 The placement of the pergolas was designed to provide shade with one built facing east/west and the other facing north/south. The sidewalk was designed specifically with no sharp angles or lines, making it more comforting to the Alzheimer's patients. The tranquil fountain gently bubbles water over a large round carved stone and into a pebbled bed of smooth stone. The result is a peaceful, serene place to sit, relax and stroll through. This beautiful space has been provided by the countless contributions of caring and dedicated supporters and, most importantly, by the residents themselves. The construction industry has not changed dramatically over the last 40 years. As a result, the construction industry has lagged behind other non-farm industries in terms of productivity. From 1964-2012, construction labor productivity (measured by contract dollars of construction work per hourly work hour) has declined at an average rate of -0.32% per year compared to other non-farm industries that have seen an average increase in productivity at a rate of 3.06% per year. [Census Bureau, Bureau of Labor Statistics]. The total effect over this time period has been significant. This lack of productivity can be attributed to the fact that the construction industry is highly fragmented, often with project delivery separating the design and construction processes. Also, the construction industry is unique in that we produce custom, one-off buildings. The lack of productivity comes at a direct cost to the client, since they bear all costs of design errors, schedule delays, and operational costs. Within recent years, Kinsley has looked for new tools or processes that can help increase our productivity in all design and construction-related tasks. Technology presents new opportunities, processes, and workflows that were not possible 20 years ago. Technology transforms how we interact and do business together, with a goal to design and construct buildings better, faster, and more efficiently. New CAD/BIM software has sped-up production of drawings and helped to create more efficient designs. BIM provides prefabrication opportunities that previously were not possible. Advances in estimating have been made by using programs such as On-Screen Takeoff (OST) and are moving towards more automated takeoff software for both site work and buildings to reduce the time it takes to develop an estimate. “Go To Meeting” provides for real-time conferencing with the ability to share computer screens. This technology eliminates travel time and reducing expenses while allowing all project members to take part in a meeting even if they are hundreds of miles away. Cell phones have already revolutionized the way we communicate, both in our personal and work lives. iPads in the field will take it one step further by changing and change how some of our field personnel work and interact. By providing the ability to quickly view, mark-up and send drawings, to a subcontractor, or run pre-install checklists directly from the field, an iPad provides mobility and speeds communication and decision making, saving time and money. Kinsley Properties continues to expand in multiple markets. 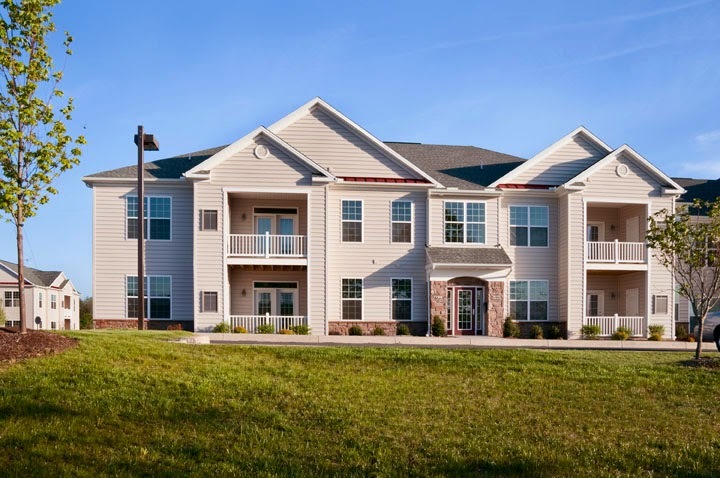 We are fortunate to have opportunities in the medical, residential apartments, public utility and retail market segments of Maryland and Pennsylvania. We completed Waterloo Crossing Building "B" in June 2013 with 31% of the space pre-leased and several other lease inquiries look promising in this two-building medical complex in Columbia, MD. 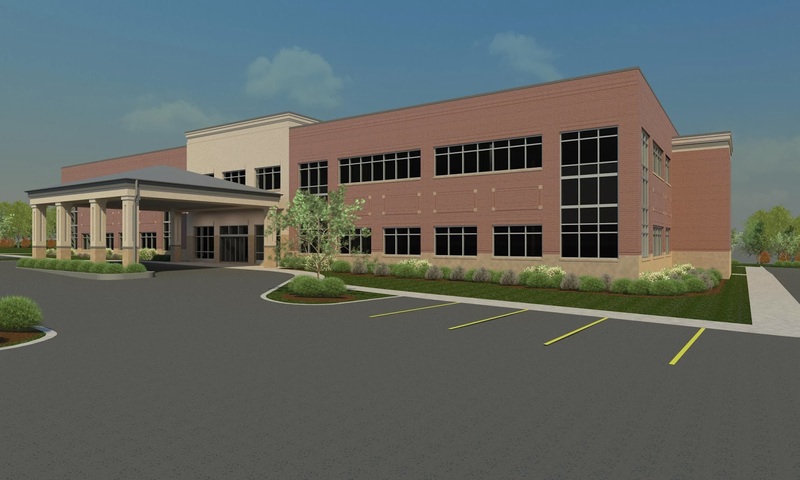 We have finalized design and site approvals for Building "A," the second and final building for this medical office development. This 14,000 SF building is currently receiving attention from several potential medical users and will start construction when a substantial tenant is signed. New apartment complexes with modern living space and resident amenities continue to be in demand nationwide. Demand is fueled by both the uncertainty of long-term homeownership, and changes in lifestyle in our society. Kinsley Properties is partnering in several apartment projects located in Baltimore, MD that are currently under construction. We are expanding our development of apartments with two new projects. 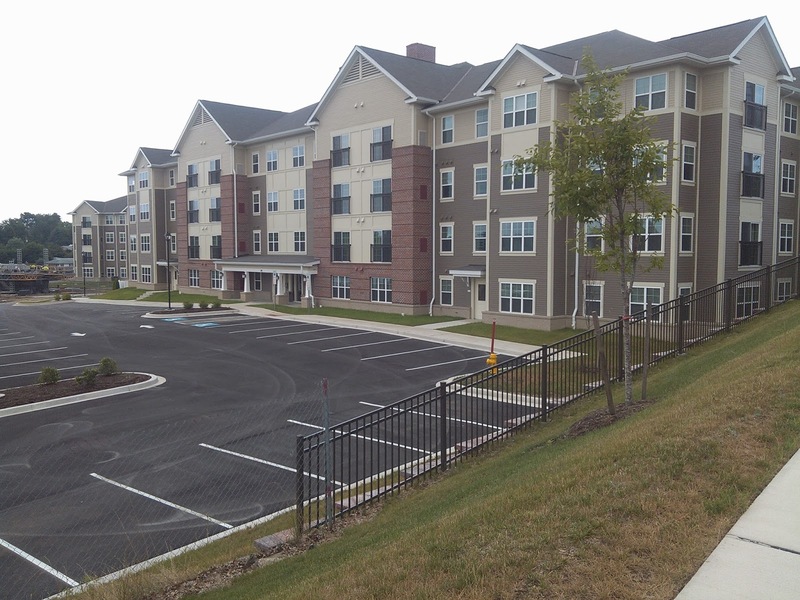 The construction of Fieldside Village apartments started in August 2013 and is a 200-unit complex in Aberdeen, MD. Sporting Hill, a 196-unit complex, is set to start this fall. Sporting Hill is located off Trindle Road on the western side of Harrisburg, PA. Both projects will include clubhouses with exercise rooms, outdoor pools, private rooms for residents to use computers/printers, and a gathering space with big screen TVs and a kitchen for residents to hold private parties or just get together to watch the Super Bowl or NASCAR race. Kinsley Properties was selected by Columbia Gas of Pennsylvania to build and lease their new 30,000 SF York, PA office and service center. After working with Columbia Gas on the analysis of four individual sites over several months, 1600 Colony Drive was selected. 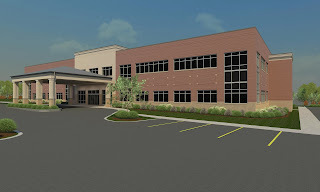 The property has an existing 17,000 SF building which will be renovated and expanded to meet the needs of Columbia Gas. The facility will include 24,000 SF of office space, 6,000 SF of warehouse space and a fenced 3.4-acre yard for their construction equipment and material storage. Construction began in October 2013. Kinsley Properties has recently secured a site to accommodate a major national retailer needing a 90,000 SF store. This new retail center, named North Chambersburg Center, is located on Gateway Drive in Chambersburg, PA. The retail center will include this 90,000 SF free-standing store and four outparcels. The outparcels are suitable for restaurants and other retail uses. This exciting new project started construction in October 2013. These projects will keep both Kinsley Properties and its contractors busy for the next 18 months. The leasing activity and occupancy levels of our existing projects are stable and we look forward to continued growth of new opportunities. Kinsley Site is in the process of completing Lanchester Landfill Area E Stage 1b. This is Phase two of a three-phase project to build an 18-acre cell. The scope of work in Stage 1b was mainly to prepare the site for the installation of a MSE Wall (Mechanically Stabilized Earthen Wall) and make modifications to the existing leachate collection system. The work consisted of crushing approximately 150,000 cubic yards of rock that was stockpiled from the first phase, screening 20,000 cubic yards of topsoil, and decommissioning three sediment basins by in-filling them to the grades required for the MSE wall. Kinsley crews were also tasked with building a new five-acre paved compost area so the existing compost area could be abandoned for the future cell. This required that crews remove 30,000 cubic yards of waste that was located within the footprint of the MSE wall and install geo-grid and structural fill in its place. Kinsley pipe crews installed the storm drain system that was incorporated into the MSE wall along with modifications to the existing leachate system. 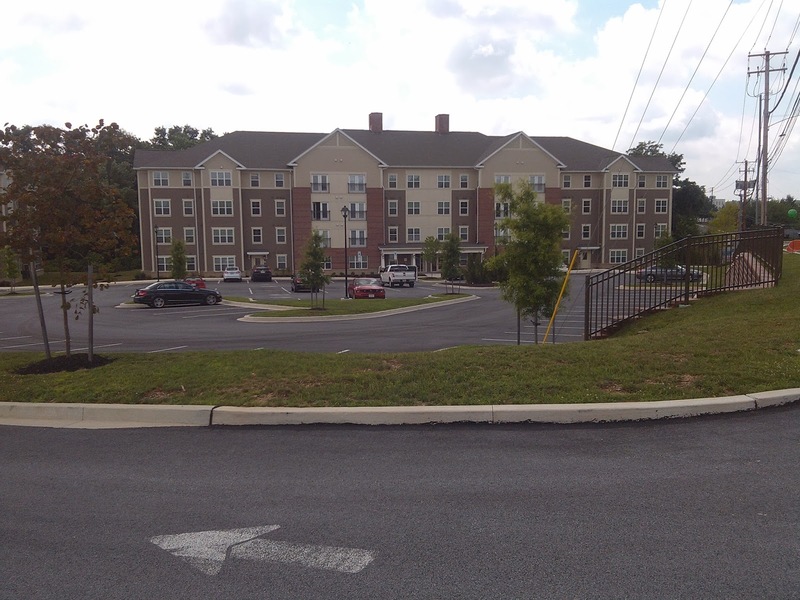 Located on Erford Road in East Pennsboro Township in Cumberland County PA, the Overlook Project is a multi-family housing project consisting of six 48-unit apartment buildings and a community center. The owner is Harrisburg-Holmes, LP and under the management of Chesapeake Realty Partners. Kinsley Site was responsible for total site preparation as a subcontractor to Harkins Builders, Inc. The scope of work included demolition of existing buildings, the clearing of nine acres of woodland, and bulk excavation of approximately 92,000 cubic yards of material. performed by I. 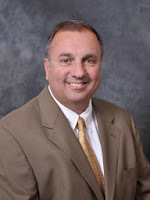 B. Abel, Inc. This project is scheduled for completion in mid-2014. 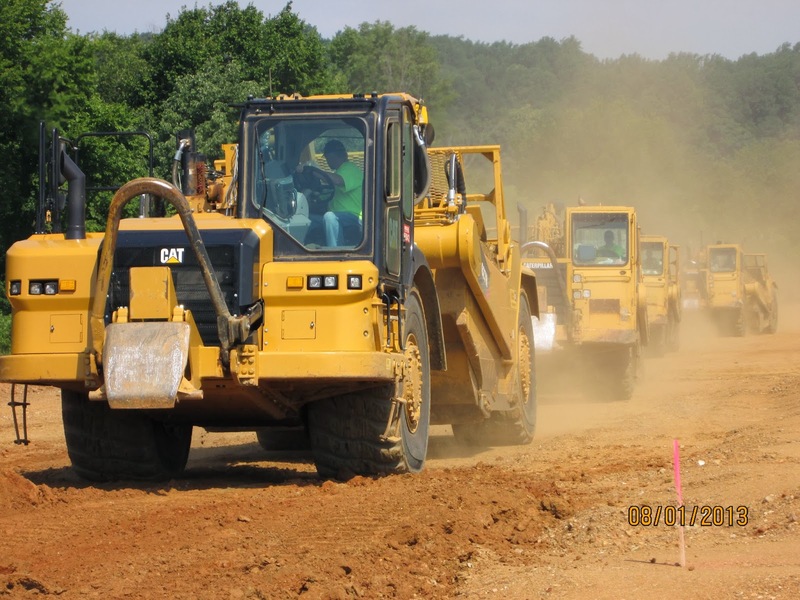 Kinsley Construction has teamed up with small business contractor JHG Contractors to perform the mass grading and storm water management for a new 329-lot sub-division in Frederick County, MD. Located on Ed McClain Road, this 140-acre parcel will be converted to single family and townhouse lots. 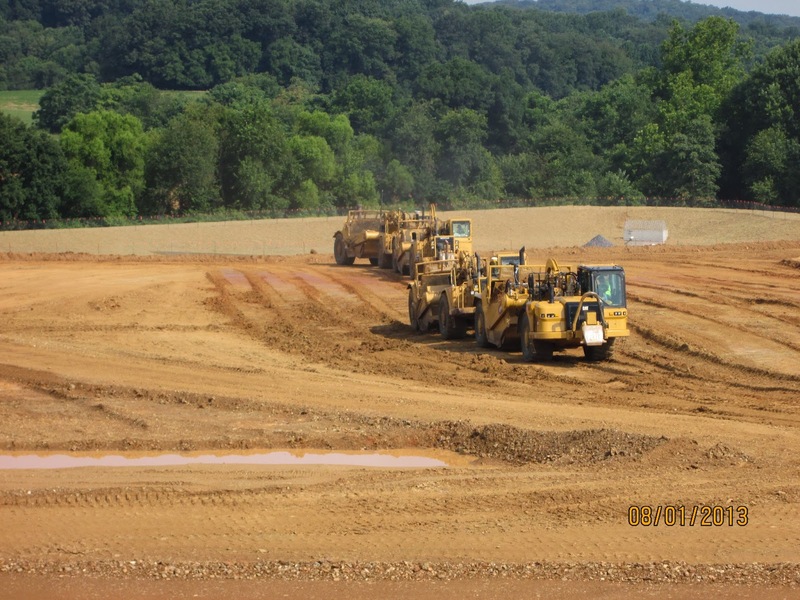 The mass grading of 465,000 cubic yards of dirt, which started in June 2013, was recently completed in October 2013. The second stage of this project consist of underground utilities and street construction, which began in the fall of 2013 and will be complete in the late fall of 2014, with actual house construction scheduled to begin in November of 2014. Kinsley's current contract is part one of a three-part subdivision totaling in excess of 800 lots. The site division is feeling the effects of the building momentum of the economy, especially in the housing sector, which is a good sign of things to come and something we have not seen for quite a while. The estimating department is overwhelmed with requests to provide pricing for residential sub-divisions and we have been quite successful in the Frederick County and Montgomery County areas of Maryland. 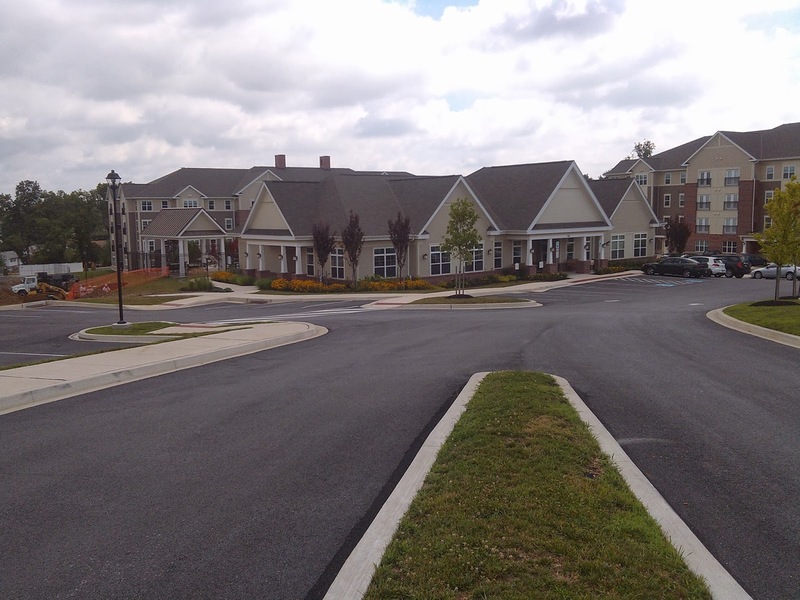 Currently, 36% of our work in Maryland consists of nine active residential developments. The Pennsylvania residential market has yet to see this kind of activity but we feel it slowly building. The site division has also made great progress and has achieved a good reputation with owners and engineers in the landfill market which has given us a steady workload in landfill cell construction and landfill capping. 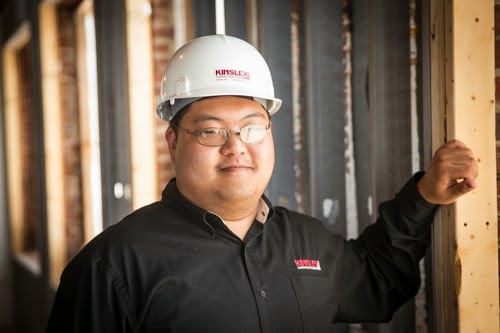 Kinsley’s site division has learned from the building division that design-build work can be lucrative and we continue to increase our involvement in this type of work, which helps set us apart from our competitors who do not have these capabilities. Recently we have been awarded two design-build projects with Food Lion and worked with the bridge division to assist them in securing a contract with one of our long-term developer clients for a $3.5 million, 135’ long bridge. 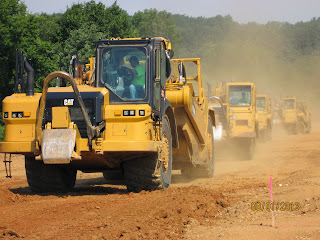 Commercial work and military installation work are still steady and fill out the remainder of our estimating and field workload.